Mounted on backing board, this 8x10" custom art is ready to frame. Kim Kaiser is an artist from Austin, Texas. 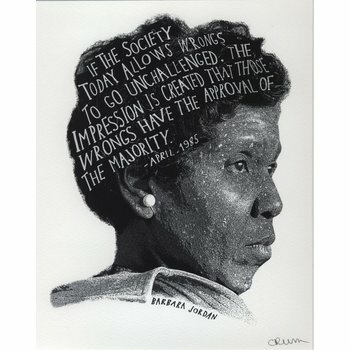 Artistic rendition of Barbara Jordan’s portrait and quote. 16” X 20”. NOT MATTED OR FRAMED. Ships rolled in a tube. Signed by the artist Carl Crum. ONLINE EXCLUSIVE. 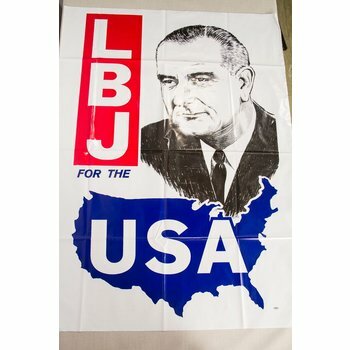 This original, authentic campaign poster from 1964 reads "LBJ for the USA." 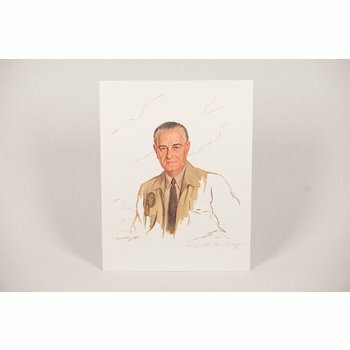 17 3/4 x 24 1/4"
Exclusive to the LBJ Presidential Library. 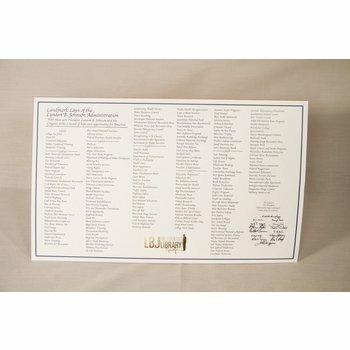 This collectible, framable print lists the Landmark Laws passed by Lyndon Baines Johnson during his Presidency. 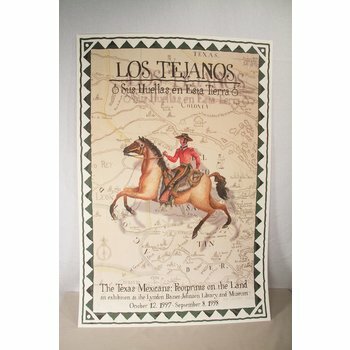 8.5 x 11 with gold foil logo. 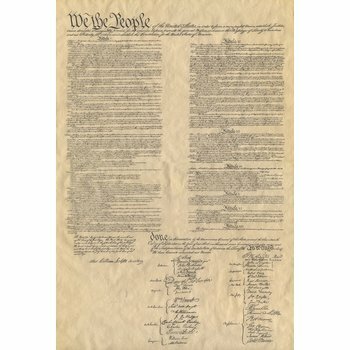 SMALL REPLICAS OF THE FOUR DOCUMENTS OF FREEDOM: DECLARATION OF INDEPENDENCE, CONSTITUTION OF THE UNITED STATES OF AMERICA, BILL OF RIGHTS, AND THE GETTYSBURG ADDRESS. ROLLED TOGETHER IN ONE TUBE. ONLINE EXCLUSIVE. 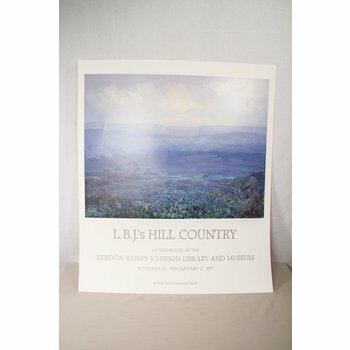 Original poster created for the LBJ Presidential Library exhibit of 1986-1987, LBJ's Hill Country. 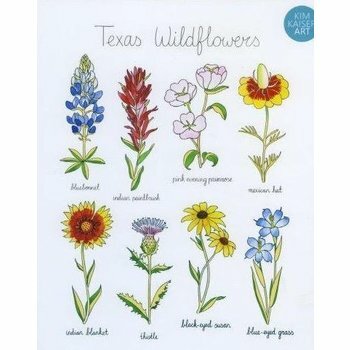 Poster depicts a painted scene of the Texas Hill Country, with green fields, hills, trees, and bluebonnets. 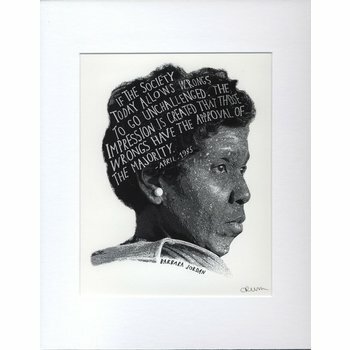 Artistic rendition of Barbara Jordan’s portrait and quote. 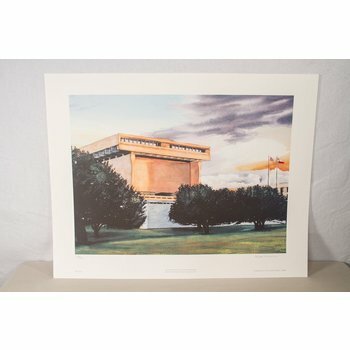 8” x10”, matted to 11.5” x 14” Signed by the artist Carl Crum. ONLINE EXCLUSIVE. 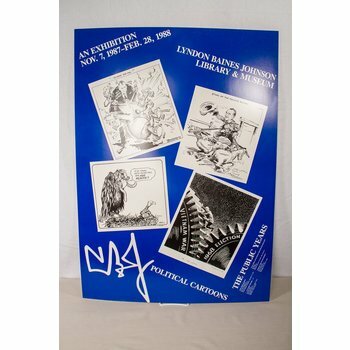 Original poster created for the LBJ Presidential Library Political Cartoon exhibit, from 1987-1988. 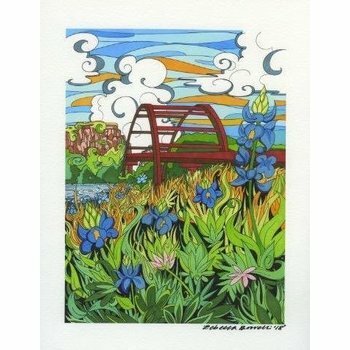 8x10 matted image of bluebonnet and hummingbird. ONLINE EXCLUSIVE. 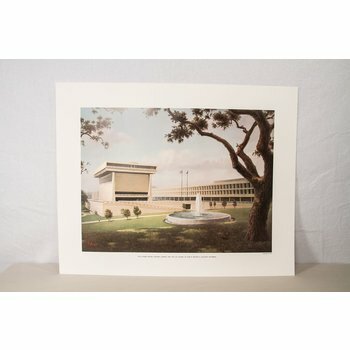 Original poster created for the LBJ Presidential Library of Dalmart Windberg's painting of the LBJ Presidential Library grounds and the LBJ School of Public Affairs. 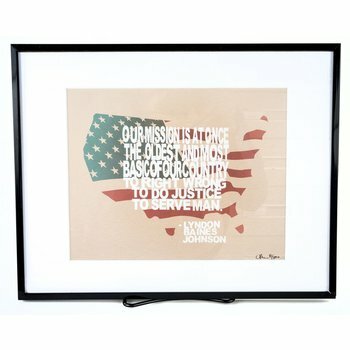 UNFRAMED (sample only is framed) original artwork featuring one of LBJ’s most impactful quotes. 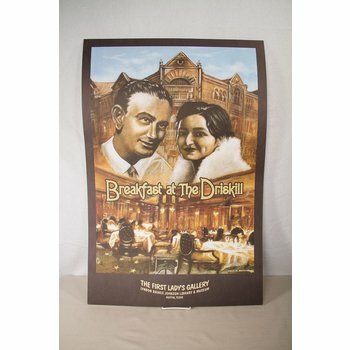 8x10 glossy photo paper. Ships flat. 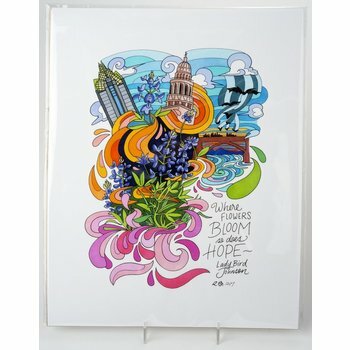 8" x 10" archival print by local Ausitn artist Becca Borelli, signed and dated on the front. Image is 6x8" and set in an 8x10 mat. 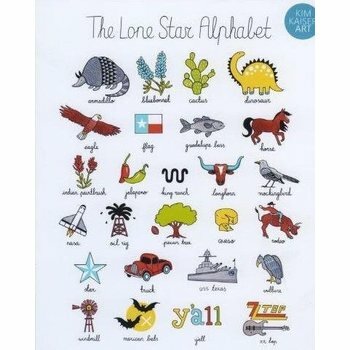 Print of a watercolor painting by Mary Doerr, a lifelong Texan well known for her paintings of Austin, the Texas Hill Country and the Southwest. Size: 12" x 12”. Matted and shrinkwrapped. 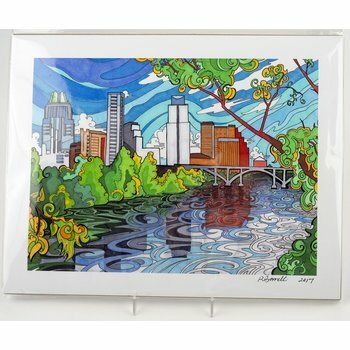 8" x 10" Archival print by local Ausitn artist Becca Borelli, signed and dated on the front. Image is 6x8" and set in a white mat. An Online only exclusive. 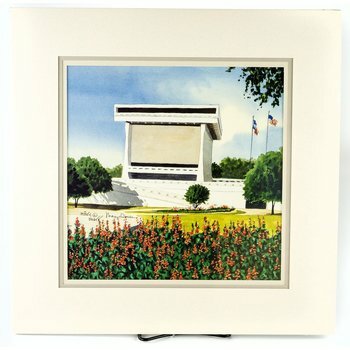 Signed and numbered watercolor print of the LBJ Presidential Library and grounds at sunset by Texas artist Bill Wiman. Measures 18" wide x 23" high. ONLINE EXCLUSIVE. 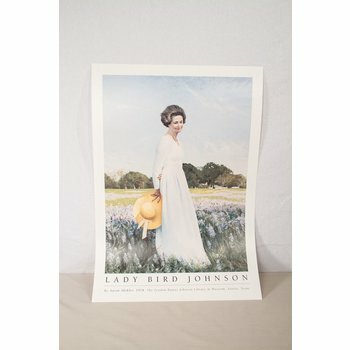 Original poster created from the Lady Bird portrait painted at the LBJ Presidential Library in April 1978 by artist Aaron Shikler.